Golden Harvest founder Raymond Chow Man Wai passed away at age 91. He made tremendous contributions to Hong Kong films in the 70s to the 90s, cultivated many famous filmmakers like Bruce Lee, Michael Hui Koon Man, Jackie Chan and Sammo Hung Kam Bo. Jackie Chan yesterday posted an eulogy and photos to remember Chow Man Wai. 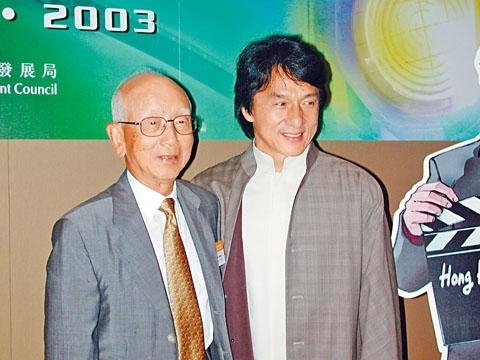 Jackie Chan recalled, "Remembering Mr. Chow Man Wai: he gave me the name of Jackie Chan. In the 80s, after THE DRUNKEN MASTER, I joined Golden Harvest. At the time my English name was still Jacky Chan. At the time the boss Chow Man Wai said, since you are in Golden Harvest you have to start over. Why not change Jacky to Jackie? Since then, I became Jackie Chan. 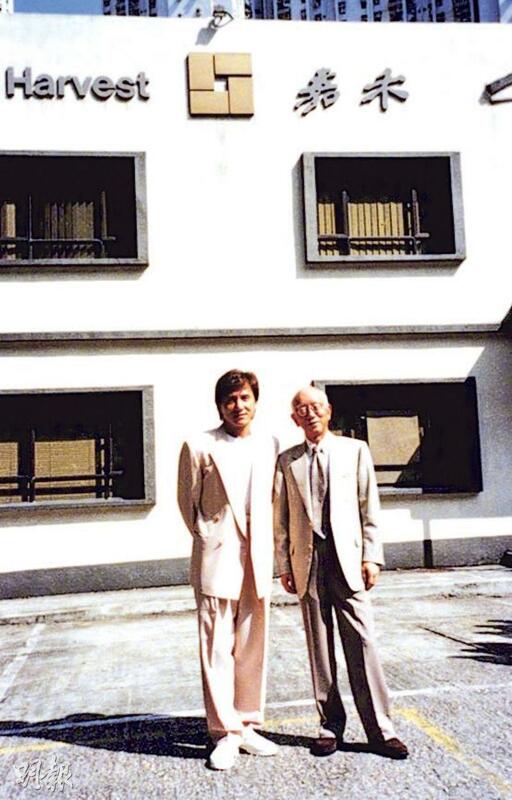 Golden Harvest's Mr. Chow Man Wai and Mr. (Leonard) Ho Koon Cheung, one was responsible for business development and the other for film production. They was the perfect partners at work. They gave my career all new possibilities and also the chance to make movies that I really wanted to make. Since officially joining Golden Harvest, my first film was THE YOUNG MASTER (SI DAI CHOOK MA). I remembered one scene took over 50 takes, all I had to do was the kick a fan in the air and catch it one handed beautifully. I gave my all to make this film well, to live up to the trust that the two bosses had in me and to let the film industry know that my performance was not due to luck. In that less than peaceful age of Hong Kong film, we filmmakers were often affected by something external. I remember at the time Mr. Run Run Shaw said, 'You really like film, I really like film too. If you like film I have to work a little longer. When film is in its depression, you have to think of ways to survive.' At a certain period in Golden Harvest, I ran into some trouble over contract issues. 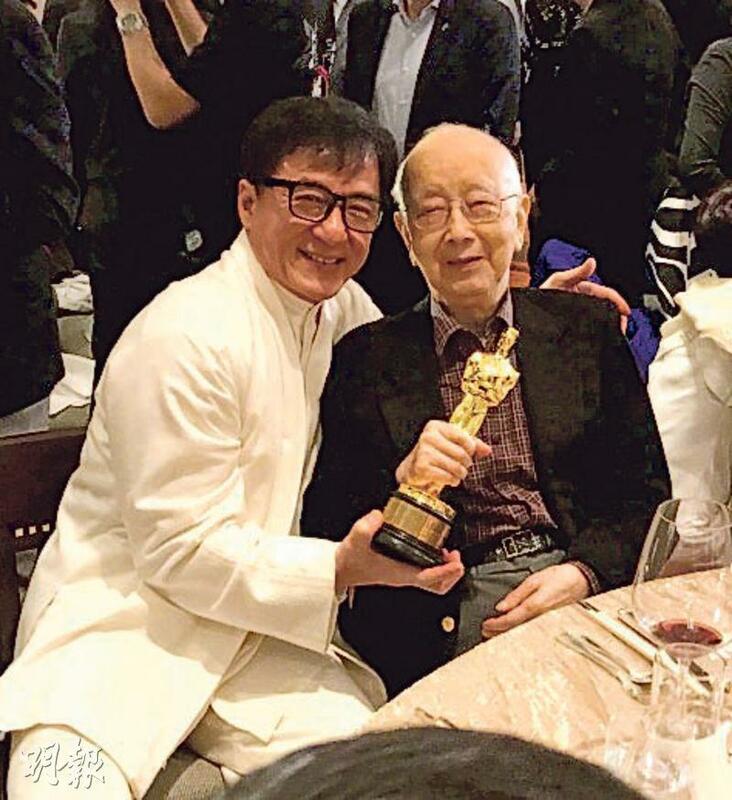 Mr. Chow at the time said to then Golden Harvest producer and my friend Chua Lam, 'You take Jackie Chan away from Hong Kong to make movies, go wherever you want to go.' Because of this opportunity and trust, we went to Spain to make WHEELS ON MEALS (FAI CHAN CHEH). That time was truly extravagant and also very happy, we even rented a castle for a shoot. In 1986, on the set of ARMOR OF GOD (LUNG HING FU DAI) in Yugoslavia, I had that severe accident. At the time everyone on the set thought that I would be done for soon. (Eric) Tsang Chi Wai kept calling Hong Kong, calling Mr. Chow Man Wai. Mr. Chow did all he could to contact a brain doctor in Switzerland for me, only then did I have the chance to live until today......over the decades, Mr. Chow Man Wai to me was a boss, an elder, a teacher, an always respected industry role model. To the entire Hong Kong film and even the Chinese film world, he was the mark of an age. Today many in this industry have received his help, I believed they would always remember it in their hearts. Mr. Chow, have a safe journey. I would always remember your advice, the spirit and the strength that you have passed on to us. I would continue to pass it on."